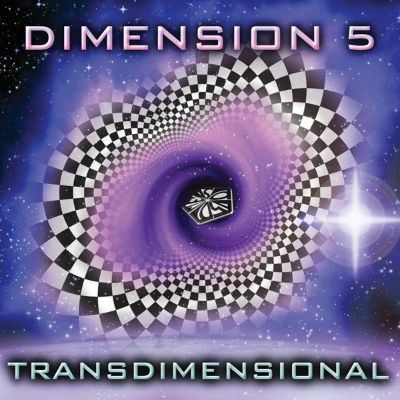 Dimension 5 was one of the first Goa Trance groups ever and released lots of highly acclaimed vinyls and cds. The group saw its existence in 1989, and around 1994 they released their first early Goa Trance vinyls, which they described as “space techno”. Back then the group existed out of 4 members: Charlie Clarke, Graham Franklin, Kerry Palmer and Nick Wenham. They started their own label, Intastella Records, in 1996 to have total musical freedom. This resulted in the making of their first full album: “Transdimensional” in 1997. This piece of art is extremely wanted but unfortunately it was never decently distributed, because of that this cd became a true Goa Trance legend. in 1998 the group got an extra member; Christer Borge Lunde (Also known as Ra and Electron Wave). This resulted in another album; called “Second Phaze” in the year 2000, released by an unknown label, Blue Moon in Thailand. Because of that this cd was re-released by German Velvet Inc/Nova Tekk. After this cd Dimension 5 stopped making music, leaving a great discography behind…and great memories for all the people that were already in the Goa scene around that time! Dimension 5 is one of the most famous names in the history of Goa Trance, next to big names as Transwave, Astral Projection, Oforia, MFG ! One of the reasons is their superb first album called Transdimensional. This album is probably the most wanted cd in the history of Goa Trance, and with a reason! The rhythms, melodies and acid lines flow perfectly together, creating pure brain candy! Because of limited access back then in 1997, this cd became very fast a much sough-after legend. Because we at Suntrip think this kind of perfect melodic music deserves to be heard by everyone, we decided to re-release this timeless classic! All melodic, psychedelic and sunrise-dance lovers, don’t hesitate, this cd will melt your brain and make you smile the whole summer! This re-release is superb mastered by Tim Schuldt, and the artwork will be a little different from the original as well! And we’ll finish with the announcement of our next cd… Ex-D5 member Christer Borge Lunde (Ra) is now making an album for us that will be released in the autumn. Enjoy!